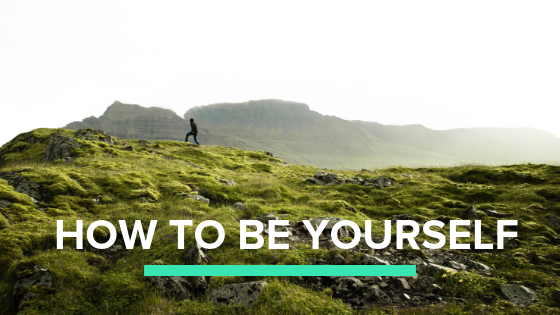 A reader recently asked me to write about “how to be yourself.” Oh, I thought, yes. I love that phrase, packed with so much promise, unfolding, and mystery. And packed with so much pain as we mostly live in a world that shoves and bullies us to be different than we are or judges us for not being enough or hectors us to be _______ (younger, thinner, richer, etc.). How do we untangle the cultural and family stories of who we were supposed to be and find what is real and nourishing for us, not once but again and again? It’s an ever-fascinating question, one I have devoted much of my life to explore in my books, my retreats, at the Writer’s Oasis, and a big one that I did my best to answer… for today. Being yourself has no endpoint. Letting go of who you’ve been, thought you would be or who you wanted to be will always be part of your becoming. Always. It’s not a test. There are no right answers; that’s impossible. There are only your best guesses, ever open for revision. Becoming you matters even as the earth burns and despots gain power. Not owning our knowledge, our experiences, our voices, our life force leads to toxic and deadly silences, loss of critical wisdom, mentoring and championing others, and keeps us hiding from the leadership roles we can fill. Being yourself happens in a body. Your body tells you, with its aches, its dips and soars in energy, its shivers, its pain, with how it recoils, how to continually become yourself. Your body is always your most reliable guide to how to be yourself in this moment. It’s not out there. Nobody’s definition, diploma, award, accolades, thump on the back, paycheck, bonus, or “You finally arrived!” will ever tell you who you are or confirm you are enough. Being yourself is a mystery. We are formed and influenced by so many factors, most of which are outside our conscious awareness. To understand this is to lighten the hell up, on yourself and everybody else. Except for those despots. Safety first. The oldest parts of our human brains are wired to quickly believe we are in mortal danger when all that’s happened is we got a snippy email from a friend. The modern world hits this danger lever many times a day. This makes it hard to know who you are or what you want. Learn to calm your brain down. Often. Being yourself means being intimate with desire. Desire is life encouraging you to experience it, shape it, feel it. Are you letting yourself be known by your desires? Are you letting yourself consider: what you want wants you. It’s a wholeness thing. Get to know the parts of yourself you feel aren’t authentic or don’t like. I have found becoming myself requires welcoming all of my selves. Especially the petty, mean, selfish, and judgemental parts. Linger in well-being. My meditation practice has taught me that well-being, peace, and deep comfort are always available in even the most stressful moments and that this state is me and is more than me. Resting in this peaces fills me with an open-hearted present moment curiosity: what will I try next? And that kind of answers the whole question! Here’s to our continual unfolding.